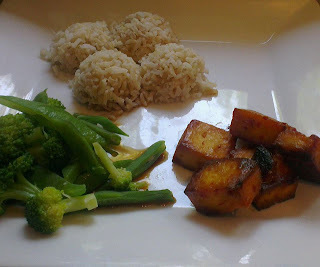 Tofu is one of those foods that can be amazing but you need to prepare it right, starting with pressing the water out of it (instructions on the 'BBQ tofu' post) and trust me you don't want to skip this step! 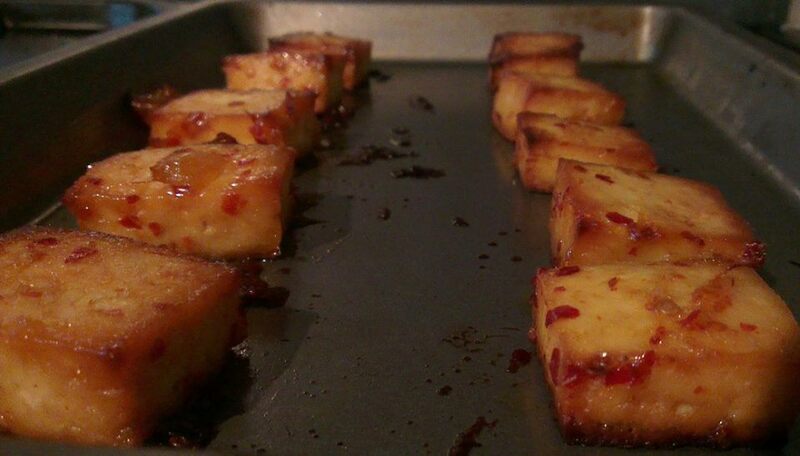 This tofu is packed with flavour and perfectly sticky after being baked in the oven, not to mention high in protein! Meanwhile, boil the rice in salted water (1 tsp salt) for 30 minutes and drain. 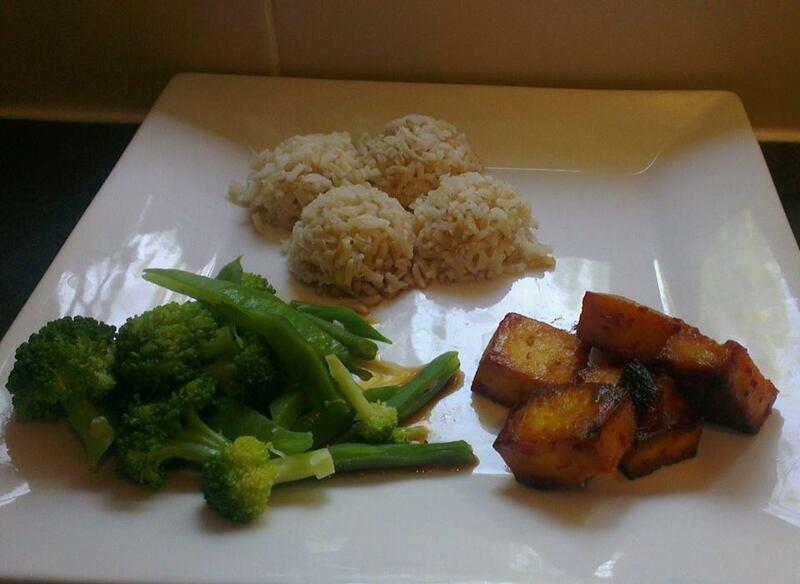 Add the broccoli and runner beans to a pan of boiling water and cook for 5 minutes, then drain. Take the tofu out of the oven and serve everything up. Drizzle the soy sauce and lemon juice over the veg.